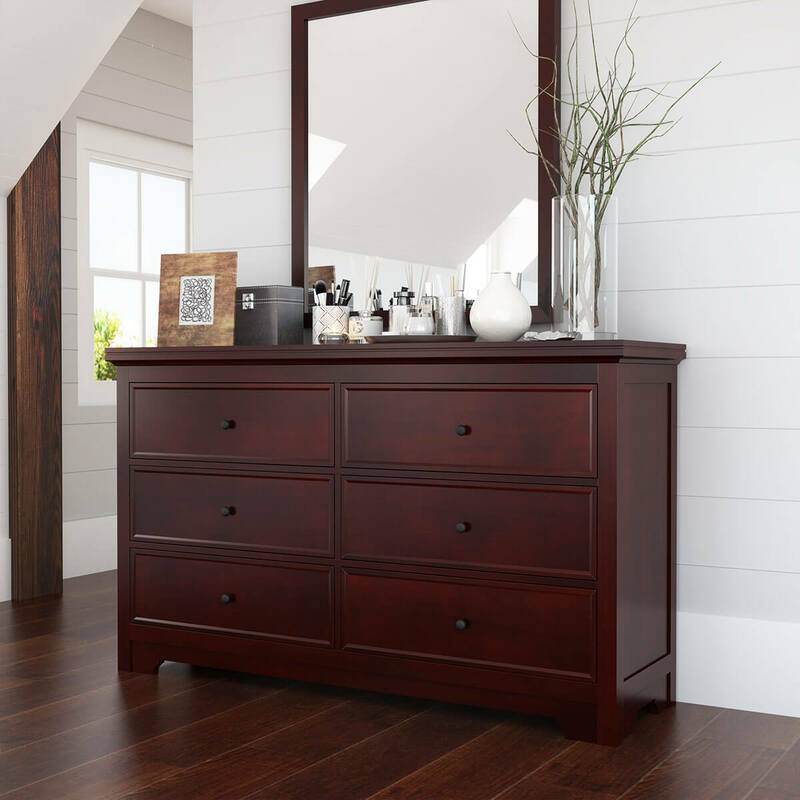 A dresser is there for both vanity as well as functional purposes, which is why a good one needs to feature the perfect balance of both. 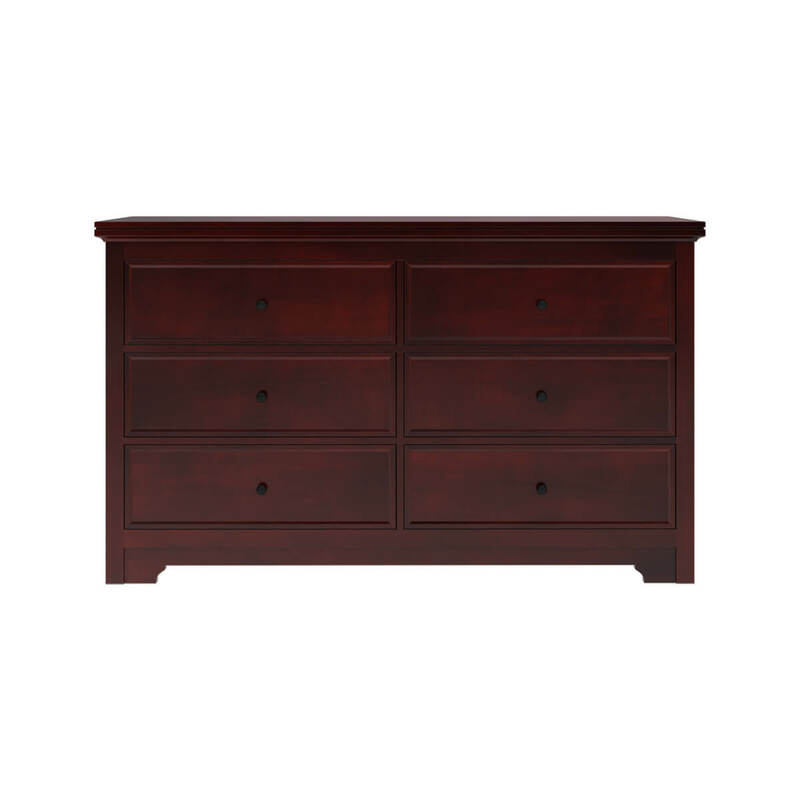 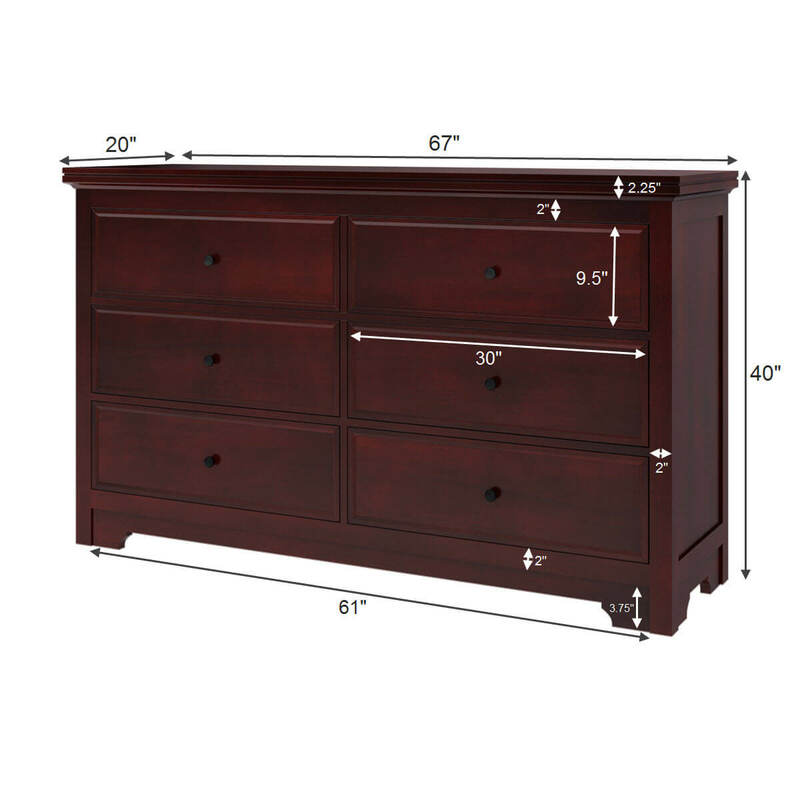 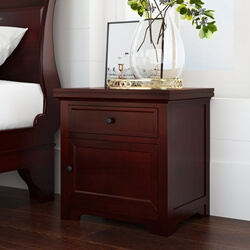 If that’s what you’re looking for, then our Carina Contemporary Mahogany Wood 6 Drawer Double Dresser is a piece that offers the best of both worlds. 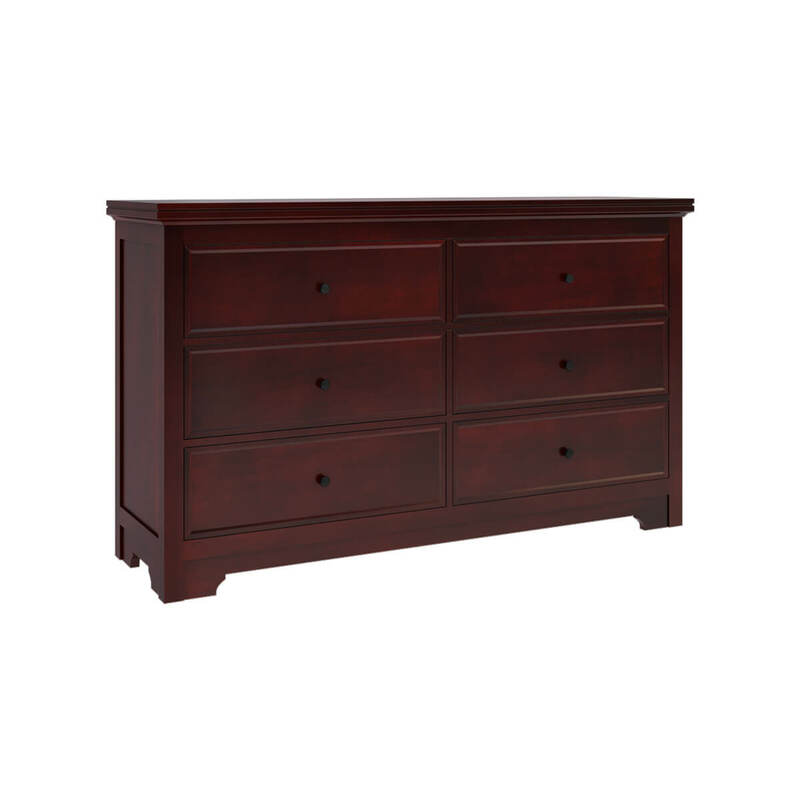 This solid wood rustic dresser is one of the most attractive pieces of furniture you’ll ever find. 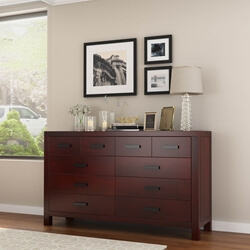 Its sleek contemporary build is complemented by the simplicity of the design. 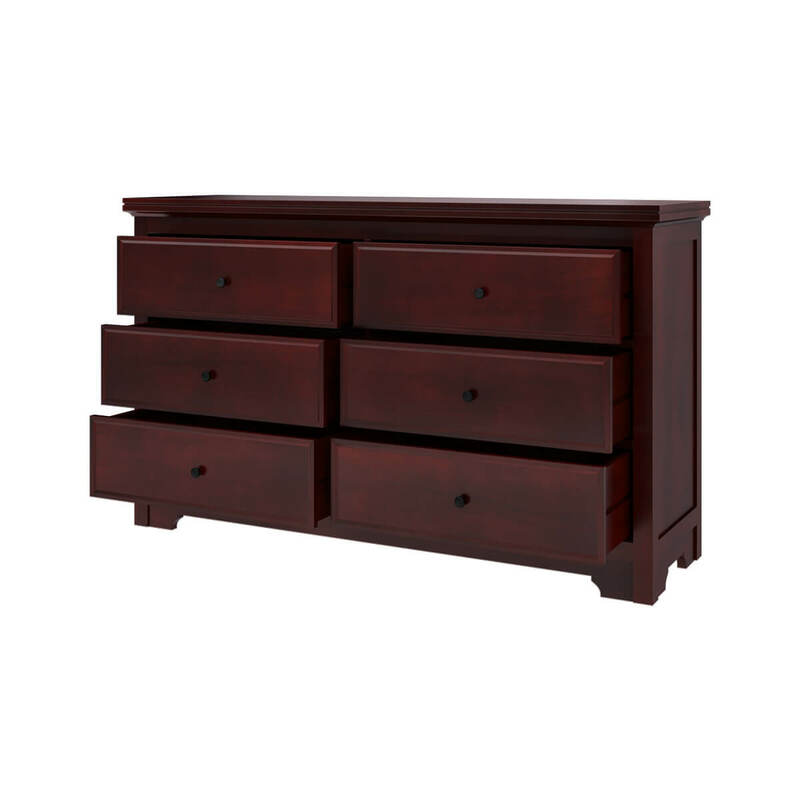 However, there is a small ode to minimal ornamentation with the plain borders along the drawers, which is complemented by the small knobs. 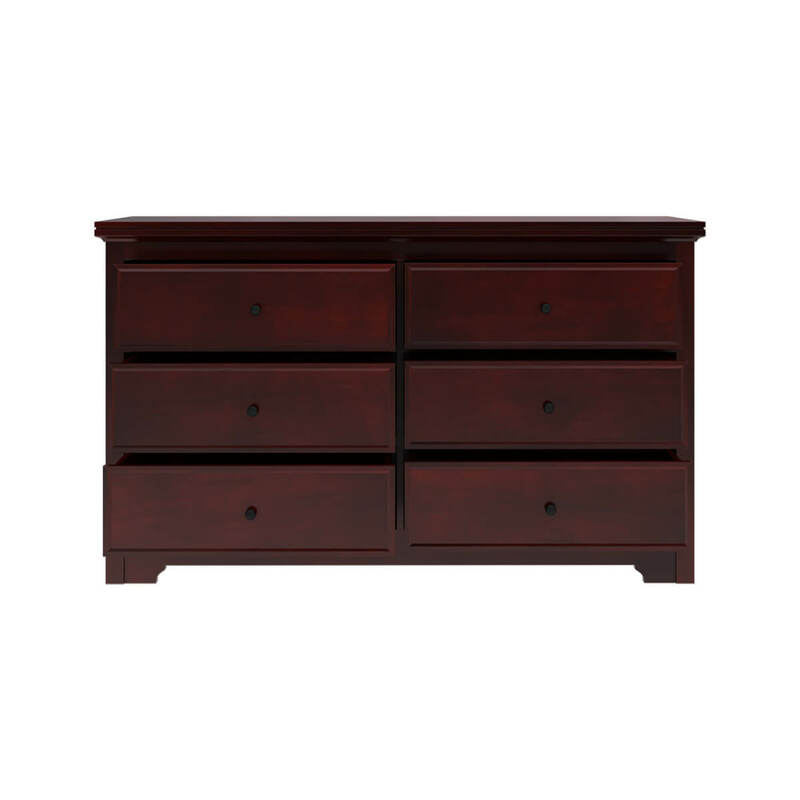 This double dresser comes with 6 large drawers that provide ample storage space along with an understated stylistic expression in the form of corbel shaped feet. 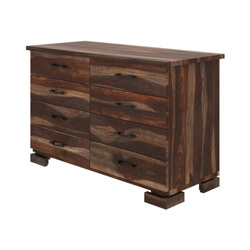 If plain yet impactful is your aesthetic, then you’re definitely going to fall in love with this piece! Handcrafted from solid mahogany wood, this double dresser warrants a strong, durable and long-lasting heirloom quality. 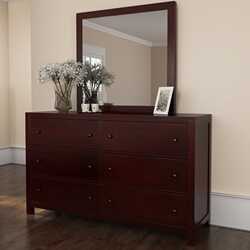 But best of all is the fact that this solid wood double dresser can be matched with a number of unique interior design styles. 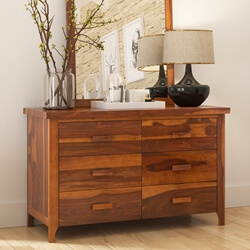 It’ll look absolutely gorgeous in either a contemporary, eclectic, traditional or transitional style ambiance. 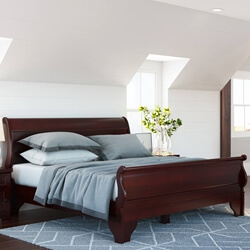 However, it will look the best when paired with the sleigh bed and 2 nightstands from our Carina Contemporary 4 Piece Bedroom Collection.